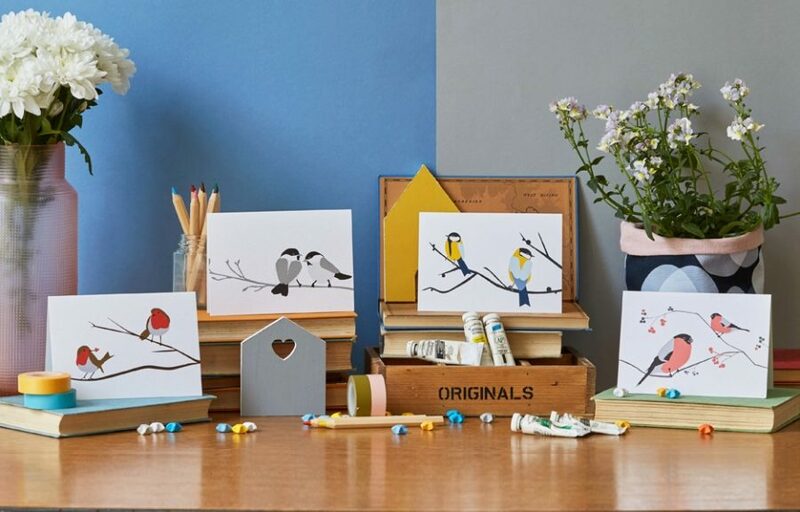 The Robin card is a firm favourite for Christmas and all year around and is the UK national bird. 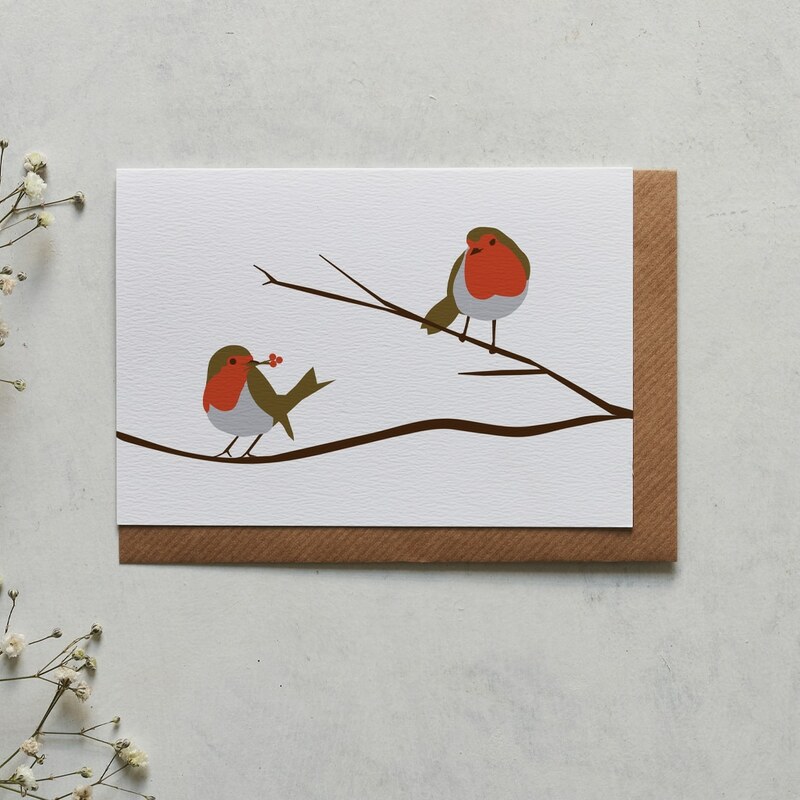 A regular visitor to Lorna’s childhood garden, the Robin is a familiar and endearing bird. 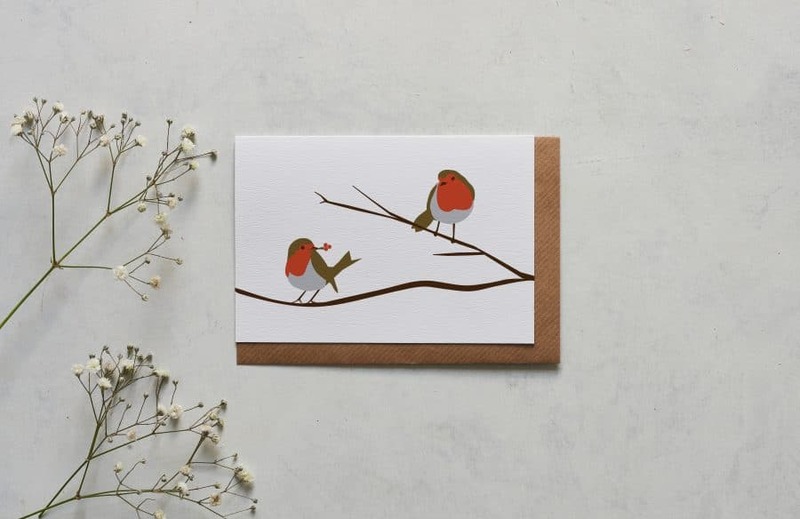 However, it’s at Christmas, when their red breast and delightful song cuts through the winter frost and Robins are welcomed merrily as festive guests.